KFC’s PR team overcomes nightmarish situation with clever 3-words trick! KFC, the mega-giant manufacturer of fried chicken worldwide, just ran out of chicken supply leading to closing down of more than 100 outlets. Their PR team chose to handle this situation immediately by putting on a full-page advertisement where they re-arranged KFC’s 3 letters as “FCK”. KFC had recently switched between suppliers and owing to pertinent logistics difficulties, the chicken supplier was unable to deliver chicken. Reports state how this angered consumers as they drove to find their favorite fried chicken joint closed. Moreover, many customers called police venting out their anger. However, to stall further damage to the brand name, the public relations team swopped in to deal with this matter instantly. The advertisement addressed this crisis directly and turned that whole matter into a light issue hoping to recover soon. The ad worked wonders as it became hilarious and not offensive with the letters jumbled to say “FCK”. The customers’ sense of humour kicked in as they guffawed over the funny word trick. Moreover, with a line in the ad like, “Our delivery team messed up” conveyed the message of KFC taking up the blame on itself. The PR team portrayed the goodwill of KFC and how helpless the company was in such a situation. 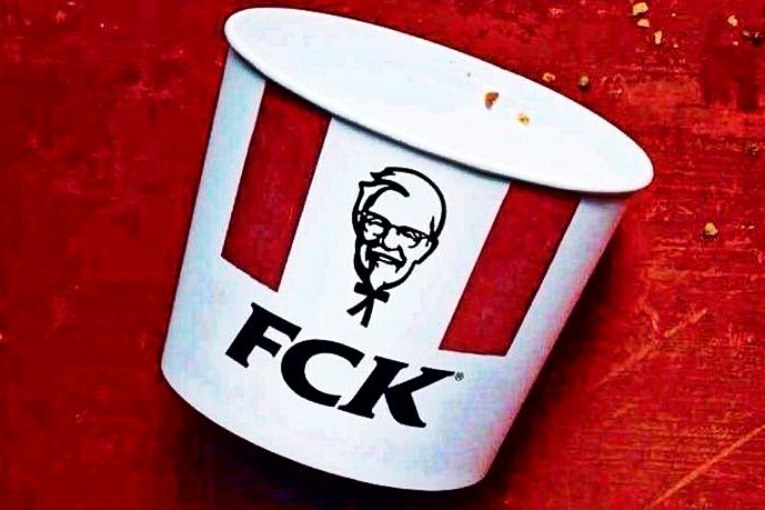 The ad reasoned with the customers as the “FCK” chicken basket image symbolized how sorry KFC actually felt for not being able to deliver their munchies to their beloved consumers. This technique applied for crisis management shows how it gave the company some breathing space to overcome the situation.